Standing in the heart of New York City’s Meatpacking District, 860 Washington Street illustrates the best practices and the highest building certification standards available today. 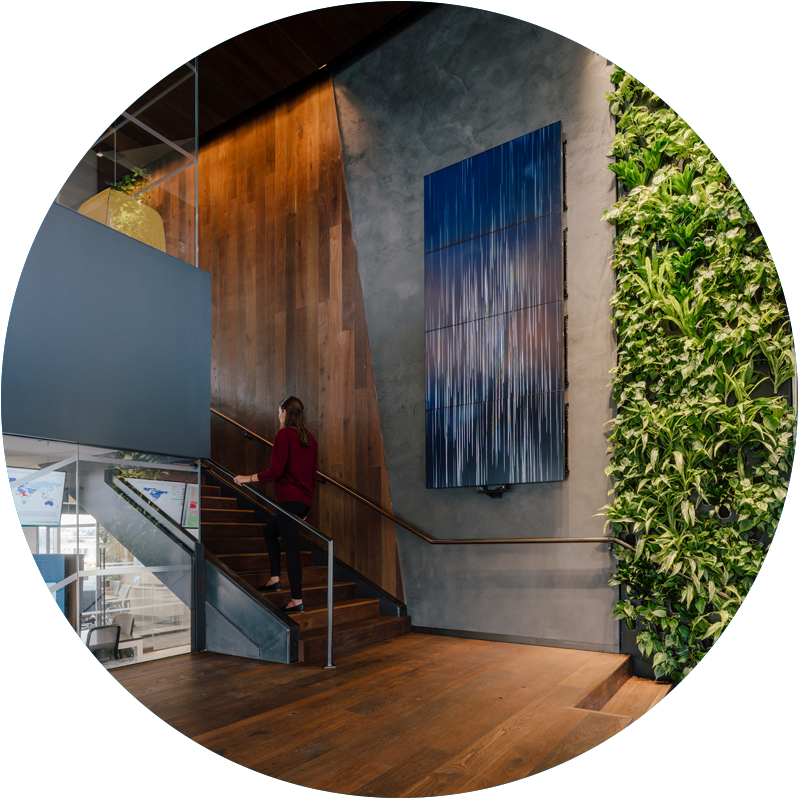 A WELL Certified Platinum space also pursuing LEED Platinum and Living Building Challenge Petal certification, the Delos headquarters is meeting rigorous health and sustainability goals. The 19,000 square-foot headquarters includes a variety of space such as open seating areas, conference rooms, private offices, huddle and focus rooms, a wellness room, and a 1,520 square-foot terrace. The north, east and west facing walls are full glass curtain walls with views overlooking Washington Street and the High Line, a nearby elevated park. The office features a multifunctional lab space to process wellness data from a network of environmental sensors, an enhanced circadian lighting experience, an integrated approach to biophilic design that includes indoor plant walls and an outdoor terrace, and a full café with healthy snacks for employees and visitors.